All Claims USA knows that insurance policies can be complex and difficult to navigate for the layperson… and insurance companies certainly don’t go out of their way to make it easy. 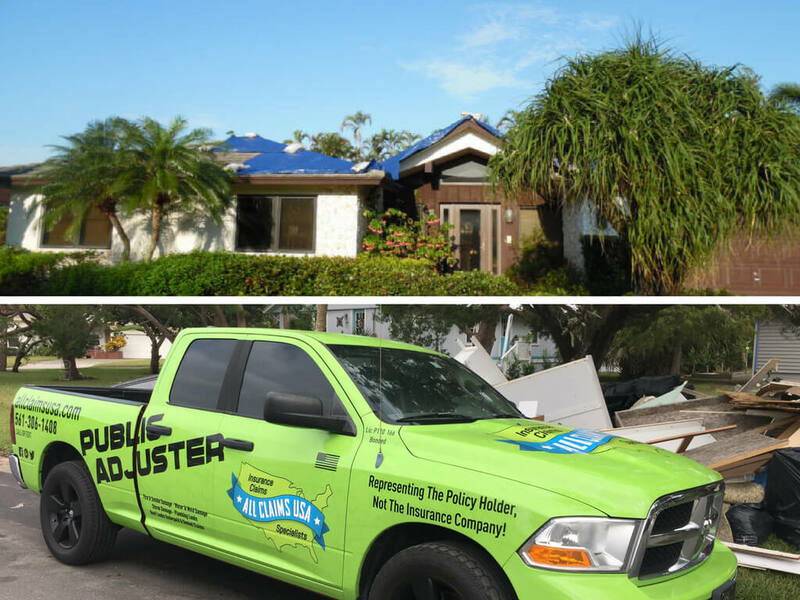 Roof leak Boca Raton clients can expect a public adjuster that completely demystifies the claims process, making it more efficient and more effective for the property owner. South Florida’s weather is classified as tropical—dry seasons aren’t something we see much of. Tropical rains, storms, and other weather conditions that make developing a leak more likely are relatively common, however. This means two things. First, that insurance covered roof leaks aren’t terribly uncommon in South Florida, and second, there are times when insurance companies aren’t keen on paying out for them, even if the language of the policy demands that they should. The roof leak damage South Florida residents come into contact with can be very difficult for an inexperienced individual to assess. Most people understand that roof leaks that occur as a roof ages often aren’t covered. However, sometimes the damage that caused the leak isn’t evident. Also, even when the leak isn’t covered, sometimes water damage related to it can be. You just can’t be sure without having it looked at by a professional. You need a claims adjuster to examine your roof leak and your insurance policy with your needs and rights in mind. We’ve all heard horror stories of a claim being denied because of a technicality, poor documentation, or other unfortunate reason. Don’t let that happen to you. Here at All Claims USA, we have over a decade of experience working with all types of claims. From small, individual home owner’s claims, to multi-million dollar claims on commercial properties, we’ve seen it all, and we put forth the same exceptional effort for each and every client. If you have a roof leak—or any type of damage to your home or property that might be covered under your insurance policy, please don’t hesitate to contact us today. We’re confident that our superior customer service and our desire to please our clients will impress you from the get-go, and that our devotion to following through will help you get the settlement you deserve.